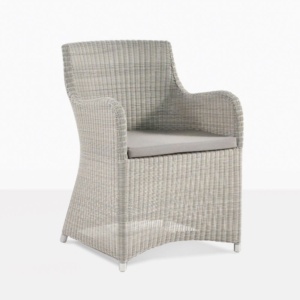 The Wave refers to the beautiful curvature in the back slats of this incredible piece of furniture! 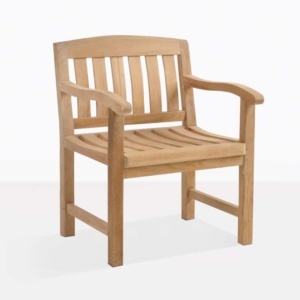 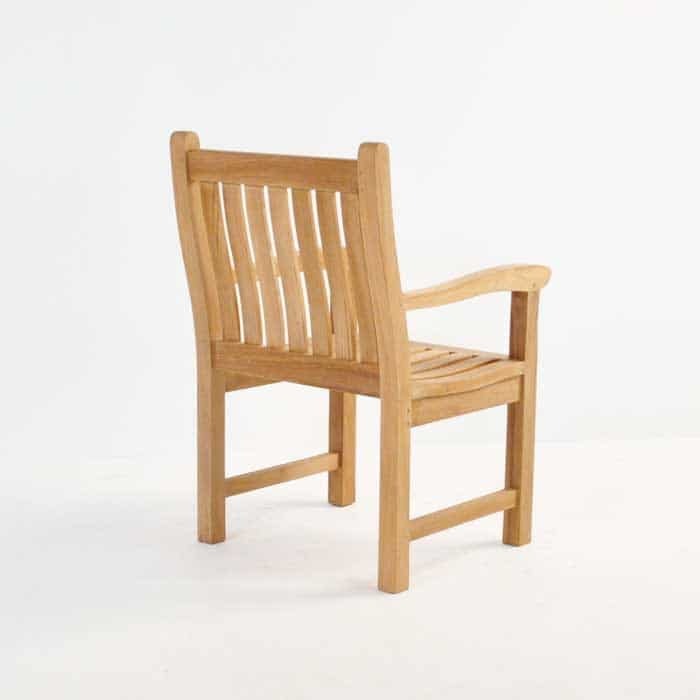 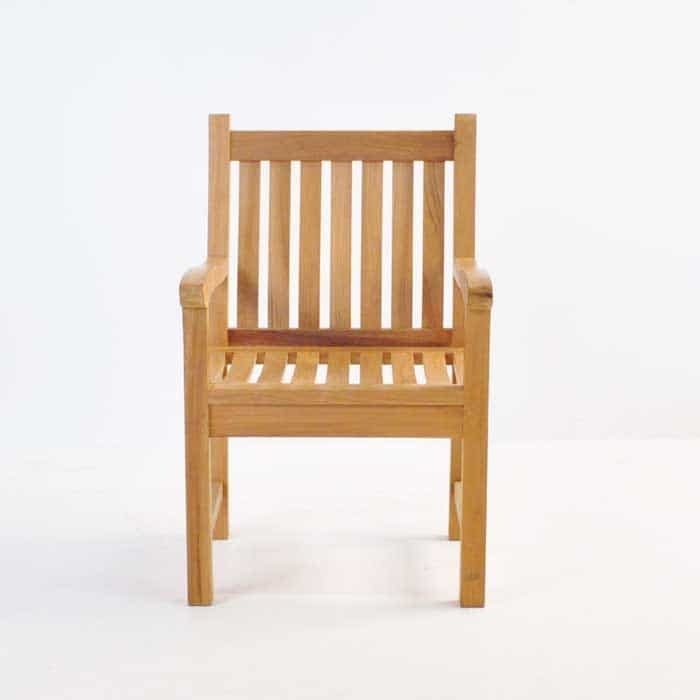 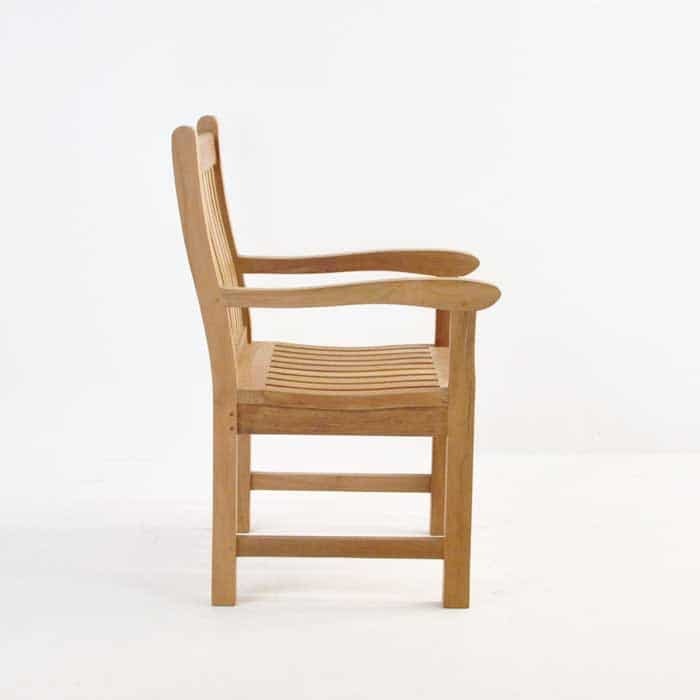 Comfortable and attractive, the Wave Teak Arm Chair is a brilliant choice for creating a heavy duty look at your dining table, or adding to a Wave Bench set in your garden. At convenient dining height, this teak armchair is perfect for those outdoor dinners. 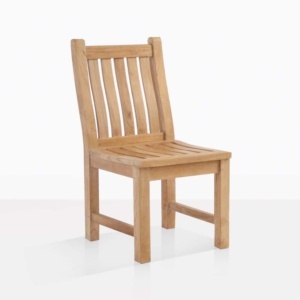 It is compatible with a variety of our dining and side tables! 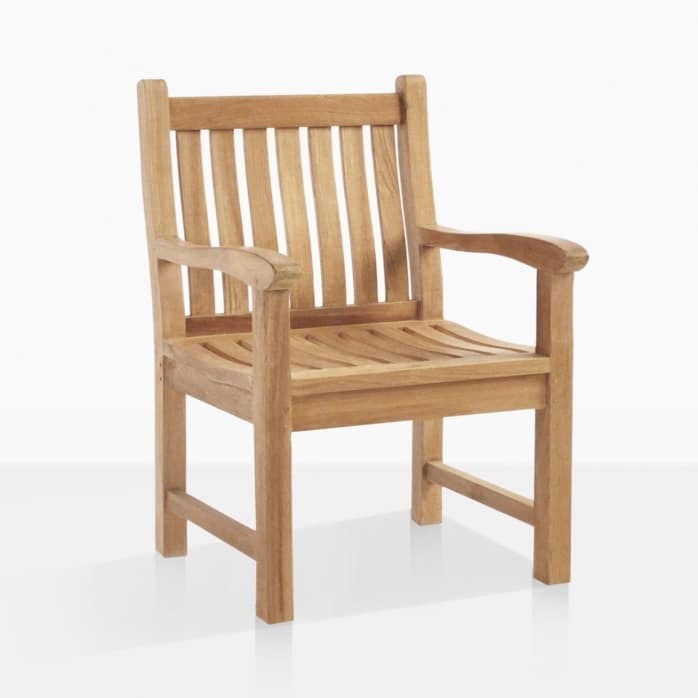 Also available is the Wave Side Chair as well as Wave Benches in 2 or 3 Seater options.